This entry was posted in The Red Mud Hut on 27th November 2017 by admin. 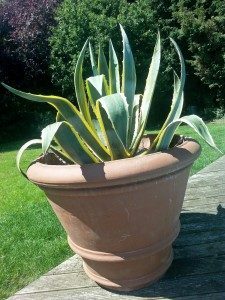 Do you have a vision for a planter but cannot find what you need? A bespoke metal trough planter could be the answer. They are ideal for a range of applications including roof gardens, tree planters or for use as barriers. 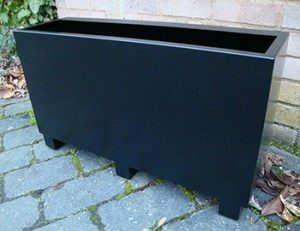 The beauty of ordering a bespoke metal trough planter is that it can be made to a size and shape to suit your situation. A stainless steel finish with riveted seams gives a robust “industrial” look to your planter. Powder coating gives your planter a more refined finish in a colour to suit the surroundings. 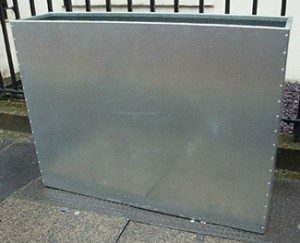 Whatever your requirements, just call us or drop us a line and we will be happy help you design the perfect bespoke metal trough planter. 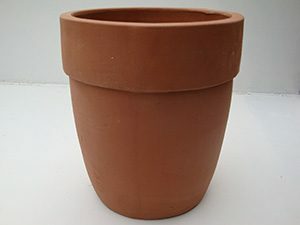 The terracotta cylinder pot is a versatile terracotta pot, contemporary in design and softer in appearance than square terracotta planters. 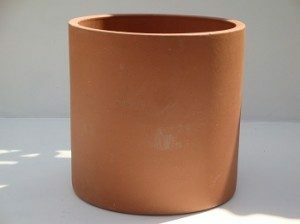 The rough texture of the classic look of terracotta cylinder pot gives definition and contrast to a garden arrangement. 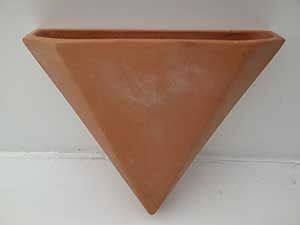 The symmetry of the terracotta cylinder pot makes it easy to fit in anywhere without taking up too much space. This makes them ideal for placing either side of a doorway. 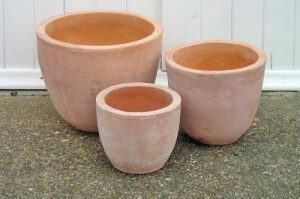 Wherever you choose to place your terracotta cylinder pot, the symmetrical shape will give a simple but stylish look to your roof terrace of patio garden.